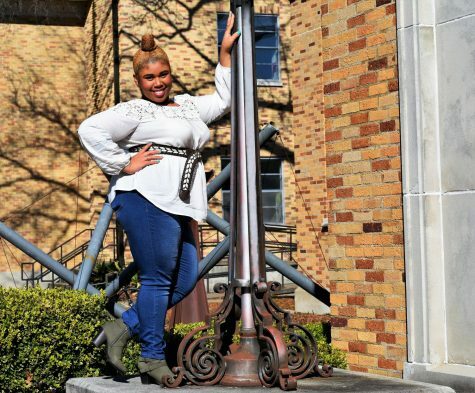 Hollie Williams is a full-time mom and full-time student at Delta State University. The Greenville, Miss. native is majoring in psychology, while also minoring in English. Hollie plans to enter the counseling program at Delta State after graduation in hopes of attaining a career as a school counselor while also running her herbal supplement store online. With a passion for herbal healing of the body, Hollie founded an online business focusing on just that. Her favorite television series is Desperate Housewives, and her favorite sports team is the Atlanta Falcons, but she also likes the New Orleans Saints as well. As a staff writer for The Delta Statement, Hollie hopes to bring in more views and a different perspective to the publication. She also hopes to help the publication gain more recognition by bringing in new and more efficient ideas.